Evan Haefeli, Associate Professor of History, Texas A & M University, will give a public lecture entitled "Accidental Pluralists: Colonial America and English Religious Expansion, 1497-1662." Evan Haefeli has also taught at Columbia, Tufts, and Princeton Universities and the London School of Economics, where he was a Visiting Fellow. He has held fellowships from the McNeil Center for Early American Studies at the University of Pennsylvania; the NEH; the Huntington Library in San Marino, California; and the Cullman Center for Scholars and Writers at New York Public Library. His research has ranged from the frontier between New France and New England, to early Native American history, the famous Salem witchcraft trials, obscure revolts in colonial New York, captivity narratives and the nature of book publishing in colonial America, and the politics of religious toleration in the Dutch empire, especially New Netherland. He is currently finishing a book for the University of Chicago Press on the politics of religious toleration and English overseas expansion from 1497-1688, editing a volume of essays entitled Anti-Catholicism: The Anglo-American Experience c. 1600-1850, and beginning his next book, which examines the radical origins of the English Bahamas in the seventeenth century. Prof. Haefeli will also give a workshop presentation on January 11 12:00 noon in S200 on "The Delaware as Women? Indigneous Sources on a Colonial Discourse"
Katharine Gerbner, Assistant Professor of History, University of Minnesota, will give a public lecture entitled "Christian Slavery: Religion, Race, and Freedom in Protestant Missions to the Caribbean." Katharine Gerbner's research explores the religious dimensions of race, authority, and freedom in the early modern Atlantic world. She is currently working on a book project entitled “Christian Slavery: Protestant Missions and Slave Conversion in the Atlantic World, 1660-1760,” which asks why enslaved and free Africans participated in Christian rituals in the Protestant Caribbean. A second project investigates the religious and medical practices of enslaved Africans in the Caribbean, paying particular attention to obeah and how Afro-Caribbean ideas about healing, prayer, and worship influenced the construction of European categories such as religion and medicine. Prof. Gerbner will also give a workshop presentation on January 18, 12:00 noon in S200. Public Lecture by Claudia Rapp: "Saint Catherine's Monastery in the Sinai and its Hidden Manuscript Treasures"
Professor Claudia Rapp, University of Vienna, presents a public lecture entitled "Saint Catherine's Monastery in the Sinai and its Hidden Manuscript Treasures." Located in the southern tip of the Sinai peninsula and fortified with walls under Emperor Justinian in the sixth century, the Holy Monastery of Saint Catherine is the oldest Christian monastery in continuous operation. Despite its remoteness, it has attracted monks and pilgrims from all regions of Christendom. Its art collection and library are home to unique treasures that have been preserved through the ages. Some of the manuscript evidence has only recently been unlocked with the help of digital technology. This lecture will present the current results of the Sinai Palimpsests Project and explain how they contribute to our understanding of the monastery as a cultural magnet in the middle ages. Claudia Rapp is Professor of Byzantine Studies at the University of Vienna and the director of the Division for Byzantine Research at the Institute for Medieval Studies (Austrian ACademy of Sciences). The author of Holy Bishops in Late Antiquity: The Nature of Christian Leadership in an Age of Transition (University of California Press), Prof. Rapp was the 2015 winner of the Wittgenstein Prize, Austria's highest academic award. Professor Esra Özyürek presents a public lecture entitled "Wrong Emotions for the Holocaust: Invisible Contributions of the Turkish- and Arab-Germans to the Cosmopolitan Memory Culture"
It is often assumed in Germany that Turkish- and Arab-Germans cannot or are not willing to relate to the Holocaust, the central negative foundational myth of German and European identity. Fieldwork reveals the actual complex and diverse ways working class minorities emotionally engage with the Holocaust. An analysis of the wide spectrum of emotions, including pride, fear, envy, mistrust, and withdrawal, the Holocaust triggers among different groups reveals the relational and politically contextualized nature of these reactions. By consistently being judged as wrong, amoral, and out of place, minority emotions are stripped of their political capacity to critique contemporary racialization in Germany. Esra Özyürek is an Associate Professor and Chair of Contemporary Turkish Studies at the European Institute at the London School of Economics and Political Science (LSE). She is the author of Being German, Becoming Muslim: Race, Religion and Conversion in the New Europe (2014) and Nostalgia for the Modern: State Secularism and Everyday Politics in Turkey (2007) and the editor of The Politics of Public Memory in Turkey (2007). Workshop with Michael Levine on "After the Animal: Kafka, Monstrosity, and the Graphic Novel." Michael Levine is Professor in the German, Comparative Literature, and Jewish Studies programs at Rutgers University. His research, on 19th and 20th century German literature, literary theory, and intellectual history, focuses on four major areas: intersections among literary, philosophical and psychoanalytic discourses; Holocaust Studies and the poetics of witnessing; the changing structure of the literary, philosophical, and operatic work in the German nineteenth century; and the legal and political legacies of Nuremberg. He is the author of several books including The Belated Witness: Literature, Testimony, and the Question of Holocaust Survival and, most recently, Weak Messianic Power: Figures of a Time to Come in Benjamin, Derrida and Celan. Bettina Bergo, Professor of Philosophy, University of Montreal, will give a talk entitled "And God Created Woman." Sponsored by the Philosophy of Religions Workshop. Emmanuel Levinas wrote his « And God Created Woman » (Tractate Berakhot, 61a) between 1972 and 1973 in the shadow of “mai soixante-huit”. It follows, even stands in the shadow of his “Judaism and Revolution” (a reading of Baba Metsia 83), which appeared in 1969. The two Talmudic readings arguably share a guiding thread, although their discussions are quite different: in 1969 it is social and metaphysical alienation; in 1972, it concerns an enigmatic domain of justice situated between the universal and the particular. Thus Levinas’ clin d’oeil to Godard’s film with Bardot focuses on “a difference that does not compromise equity,” before it so much as touches on sexual difference. Perhaps predictably, we find running through the debate about God’s ‘second’ creature (viz., is the rib from which Eve is created a face, or rather a tail? ), the question of alterity itself. But is this not one of those abstractions—flowing out of phenomenological formalism—that belies its lived origin in our experiences of or with actual people? Alterity and its “modalizations” would be the question that opens to that of justice in this reading, as in Levinas’ Otherwise than Being. To understand this approach I compare his Talmudic reading with Daniel Sibony’s discussion of the discovery, après coup, of Eve, Isha, by Adam, Ish. Bettina Bergo is Professor of Philosophy at the Université de Montréal. She is the author of Levinas between Ethics and Politics and editor or co-editor of several collections, including: “I don’t see color!”: Personal and Critical Perspectives on White Privilege (Penn State Press, 2015);Trauma: Reflections on Experience and Its Other (SUNY, 2009); Levinas and Nietzsche: after the Death of a Certain God (Columbia, 2008); Levinas’s Contribution to Contemporary Thought (Graduate Faculty Philosophy Journal, 1999). She was a Martin Marty Center Senior Fellow for the 2015-2016 academic year. David D. Hall to lecture on Thinking Across (Protestant) Reformations: Scotland, England, and New England, 1550-1640)". Public Lecture by Mayra Rivera: "Belief Materialized in Deeds"
Mayra Rivera is faculty at Harvard University and Harvard Divinity School. Sylvia Wynter’s essays analyze the cultural figurations of the human as conditions of possibility for particular forms of life. Her models for the intersections between biology and culture predate the celebrated New Materialisms and offer crucial insights for assessing the political implications of such endeavor. This in itself is enough incentive to study Wynter’s work. But she is also of particular interest to scholars of religion, because Wynter is one of very few critics of coloniality that take seriously its religious dimensions, not only as an element of colonial ideology, but also as persistent and ambivalent influence in secular models for being human. This presentation will focus on Wynter’s distinct description of the link between ideas and biology and its relationship with Caribbean thought. Several works by Wynter are readily available online, but no reading is required for this lecture. Kenneth Warren: "William Faulkner and the Franchise"
Kenneth Warren, the Fairfax M. Cone Distinguished Service Professor in the Department of English; also in the Center for the Study of Race, Politics, and Culture and the Committee on Interdisciplinary Studies in the Humanities at the University of Chicago, will deliver the 2016 John S. Nuveen Lecture. The title of Prof. Warren's lecture is “William Faulkner and the Franchise." Marshall Sahlins: "The Original Political Society"
Marshall Sahlins is the Charles F. Grey Distinguished Service Professor Emeritus of Anthropology and of Social Sciences at the University of Chicago. Marshall Sahlins (PhD, Columbia 1954) is presently doing research focused on the intersection of culture and history, especially as those play out in early-modern Pacific societies. He recently published a book of his anthropological and political essays ranging from the 60s through the 90s, and is working on two others: a set of studies in history and historiography and a multi-volume work on “The Polynesian War,” a history of the great Fijian War, 1843-1855. Abstract: Even the so-called egalitarian and loosely structured societies known to anthropology, including hunters such as Inuit or Australian Aborigines, are in structure and practice subordinate segments of inclusive cosmic polities, ordered and governed by divinities, ancestors, species masters, and other such metapersons endowed with life and death powers over the human population. "The Mbowamb spends his whole life completely under the spell and in the company of spirits" (Vicedom and Tischner). "[Arawete] society is not complete on earth: the living are part of the global social structure founded on the alliance between heaven and earth" (Viveiros de Castro). We need something like a Copernican revolution in anthropological perspective: from human society as the center of a universe onto which it projects its own forms--that is to say, from the Durkheimian or structural-functional deceived wisdom--to the ethnographic realities of people's dependence on the encompassing life-giving and death-dealing powers, themselves of human attributes, which rule earthly order, welfare, and existence. For Hobbes notwithstanding, something like the political state is the condition of humanity in the state of nature; there are kingly beings in heaven even where there are no chiefs on earth. Paul Knitter is the Emeritus Paul Tillich Professor of Theology, World Religions, and Culture at Union Theological Seminary, New York, as well as Emeritus Professor of Theology at Xavier University in Cincinnati, OH. He received a Licentiate in theology from the Pontifical Gregorian University in Rome (1966) and a doctorate from the University of Marburg, Germany (1972). Most of his research and publications have dealt with religious pluralism and interreligious dialogue. Since his ground-breaking 1985 book, No Other Name?, he has been exploring how the religious communities of the world can cooperate in promoting human and ecological well-being. This is the topic of: One Earth Many Religions (1995). More recently, his writing and speaking engagements have focused on what Christians can learn in their dialogue with Buddhists, which is the topic of his 2009 book Without Buddha I Could Not Be a Christian and of his 2015 coauthored book with Roger Haight, S.J., Jesus and Buddha: Friends in Conversation. Since 1986, Paul has been serving on the Board of Directors for CRISPAZ (Christians for Peace in El Salvador). From 1996-2015, he was also on the Board of Trustees of the International Interreligious Peace Council (formed after the 1993 World Parliament of Religions, to promote interreligious peace-making projects). Sarah Rivett, Associate Professor and Director of Graduate Studies, Department of English, Princeton University, will give a public lecture entitled "'Savage Sounds' of Christian Translations: The Missionary Limits of Universalism in Colonial America"
Rivett (PhD UChicago) specializes in early American and eighteenth-century transatlantic literature and culture. Her first book, The Science of the Soul in Colonial New England (2011) was awarded the Brewer Prize of the American Society of Church History. The Science of the Soul highlights the unity of science and religion in transatlantic networks of knowledge formation by arguing that empiricism and natural philosophy transformed the scope of Puritan religious activity in colonial New England from the 1630s to the Great Awakening of the 1740s. Rivett’s current book, Unscripted America: Indigenous Languages and the Origins of Literary Nation, explores the impact of New World language encounters between indigenous and European populations on Enlightenment language philosophy and early American literary history. Unscripted America traces the shifting status of indigenous words from seventeenth century Jesuit and Protestant missions to the imperial wars of the eighteenth century to notions of Indian grammars as the basis for a new national literary history in the 1820s. Rivett is also writing The New Cambridge Introduction to the Literature of Early America. Additionally, she has co-edited a volume of essays on Religious Transformations in the Early Modern Americas (2014). Her articles have appeared in PMLA, American Literary History, Early American Literature, The William and Mary Quarterly, and Early American Studies. Some of her course titles include: Religion in the Early Modern Atlantic World (grad), American Enlightenment (grad), The Supernatural in American Literature, American Literature to 1865, Religion and Poetry, Walt Whitman’s America, and Morality in America. John Cottingham will deliver a public lecture, entitled "Transcending science: humane models of religious understanding." In many contemporary debates religion and science are cast as rivals, supposedly offering competing explanations of the origins and nature of the cosmos. Religion often appears at a disadvantage here: given the magnificent achievements of science in uncovering the workings of nature, theistic speculations about the activities of a supposed immaterial divine agent are apt to seem radically impoverished by comparison. This paper will argue that we need a more ‘humane’ model of religious understanding, one that is responsive to the actual role played by religion in the life of the believer. Understanding the world religiously is less about subscribing to explanatory hypotheses than about a certain mode of engagement with reality, requiring a moral and spiritual transformation of the subject. This has crucial implications for the appropriate way to philosophize about religion. Instead of an ‘epistemology of control’, based on the detached evaluation of evidence, we may need to substitute an ‘epistemology of receptivity’. In religion, as in many areas of human life, authentic understanding may require a process of attunement in order for the relevant evidence to become manifest. This lecture is a cosponsored by the Office of the Dean and the Philosophy of Religions Workshop. "Celebrating the Work of Michael Fishbane: Discussion & Book Launch"
Please join us in celebrating the work of Michael Fishbane (Nathan Cummings Distinguished Service Professor of Jewish Studies at the University of Chicago Divinity School) on the occasion of the release of Michael Fishbane: Jewish Hermeneutical Theology, an unprecedented encapsulation and synthesis of Fishbane's multi-faceted career of both historical and constructive theological reflection. Michael will be joined by Sam Berrin Shonkoff, Ph.D. candidate in History of Judaism at the University of Chicago Divinity School, who contributed an "intellectual portrait" to the volume. Michael Fishbane is the Nathan Cummings Distinguished Service Professor of Jewish Studies at the University of Chicago. His areas of research and interest span the history of religious texts, culture and hermeneutics, from ancient Near Eastern antiquity to modern Jewish though and theology. Among his many books are Biblical Interpretation in Ancient Israel, Biblical Myth and Mythmaking, and The Kiss of God: Spiritual and Mystical Death in Judaism. He is also the author of a work of contemporary theology, entitled Sacred Attunement: A Jewish Theology; and a comprehensive Commentary on the Song of Songs, which retrieves and renews the tradition of a four-level treatment of Scripture. His most recent work is Jewish Hermeneutical Theology, a volume in the Library of Contemporary Jewish Philosophers. Fishbane has been a Guggenheim Fellow and received a Lifetime Achievement Award from the National Foundation for Jewish Culture. He is a member of the American Academy of Arts and Sciences. Sam Berrin Shonkoff is a Ph.D. candidate in History of Judaism at the University of Chicago Divinity School. He is currently working on his dissertation, entitled "Sacramental Existence: Embodiment in Buber's Philosophical and Hasidic Writings." Shonkoff, born and raised in Berkeley, California, holds an M.A. in Religion and Jewish Studies from the University of Toronto and a B.A. in Religious Studies from Brown University. He also serves as the Managing Editor of The Journal of Jewish Thought and Philosophy. "Believing Scientists in America: Trials and Tribulations of Theistic Evolution." Nancy Frankenberry is John Phillips Professor in Religion at Dartmouth College. While a senior fellow at the Martin Marty Center Prof. Frankenberry turns to issues facing the wider public in connection with science and religion debates. Her new project, “Great Issues in Religion and Evolution,” investigates the intellectual challenge of Darwinism and evolutionary biology to religious belief and practice in the USA for the last 150 years. Thomas Tweed, Professor, Harold and Martha Welch Endowed Chair in American Studies, University of Notre Dame, will give the Keynote Lecture for the "Religion and Movement" conference. His lecture is entiteld "Crossing and Dwelling: Themes for a New Religious History. Maurizio Bettini is Professor of Greek and Latin Philology at the University of Siena, Italy. He is also founder of Siena's program in Anthropology of the Ancient World and holds the Chair for Italian Culture at Berkeley, in addition to his position at Siena. Bettini is one of academia's most innovative students of ancient myth, religion, and culture and has published more than forty books, a number of which have been translated into English, including Anthropology and Roman Culture (Johns Hopkins Univ. Press, 1991), The Portrait of the Lover (Univ. of California Press, 1999), Classical Indiscretions (Duckworth, 2001), The Ears of Hermes: Communication, Images, and Identity in the Classical World (Ohio State Univ. Press, 2011), and Women & Weasels: Mythologies of Birth in Ancient Greece and Rome (Univ. of Chicago Press, 2013). A public lecture by Alain de Libéra entitled "Will and nil: Christ’s agony in the garden and other ethical dilemma's in early Christian and medieval thought." Alain de Libéra is Professor of the History of Medieval Philosophy at the Collège de France, where his inaugural lecture was entitled Where Is Medieval Philosophy Headed? (Où va la philosophie médiévale? Leçon inaugurale prononcée le jeudi 13 février 2014 ). Prior to his election in 2012, he held the chair of the History of Medieval Philosophy at the University of Geneva. Among his earlier notable distinctions is his election in 1985 as research director of the Ve section (Sciences religieuses) of the École Pratique des Hautes Études, where he was in charge of the program Histoire des théologies chrétiennes dans l’Occident médiéval, formerly entitled Histoire des doctrines et des dogmes (Etienne Gilson), and later Histoire des théologies médiévales (Paul Vignaux and René Roques). Standing in a long and venerable tradition, Alain de Libéra has an impressive bibliography, as his publications range from studies on Albert the Great and Thomas Aquinas to works on Averroism and medieval Neoplatonism as well as on the Rhineland mystics, especially Eckhart. His most recent work involves a multivolume study on the subject: Archéologie du sujet, I, Naissance du sujet, Paris 2007; Archéologie du sujet, II, La Quête de l’identité, Paris 2008; Archéologie du sujet, III, L’Acte de Penser, I : La Double révolution, Paris 2014. Prof. De Libéra will have office hours in Swift 300B on Thursday April 21 from 1 to 430pm. In addition he will be giving a public lecture on April 26th entitled "Philosophical archeology and deconstruction: Towards an archeology of the subject." Professors Ryan Coyne and Jean-Luc Marion will offer responses. Cosponsored by the Department of Philosophy, the Philosophy of Religions workshop, the Theology and Ethics workshop, Medieval Studies Workshop, Lumen Christi Institute, and the France Chicago Center. Peter Iver Kaufman, (MA 1973, PhD 1975, History of Christianity), our 2016 Alumnus of the Year, will deliver the lecture. Peter Iver Kaufman, (MA'73, PhD'75, History of Christianity) is our 2016 Alumnus of the Year. Kaufman is George Matthews and Virginia Brinkley Modlin Professor of Leadership Studies in the Jepson School of Leadership Studies at the University of Richmond, a position he has held since 2008. Previously he taught at the University of North Carolina at Chapel Hill, where he is Professor Emeritus. Dr. Kaufman’s scholarly work focuses on the political cultures of late antique, medieval, and early modern Europe and North Africa; he teaches leadership studies courses as well as advanced courses on political, cultural and religious leaders in late antiquity and early modern Europe. Immediately following Professor Kaufman's lecture, a reception will be held in the Common Room. During the reception Divinity Student Association (DSA) will unveil their 150th Anniversary Student Gift – a commissioned portrait of Benjamin Mays, MA'25, PhD'35, and the Divinity School's 1949 Alumnus of the Year. A public lecture by Alain de Libéra entitled "Philosophical archeology and deconstruction: Towards an archeology of the subject." 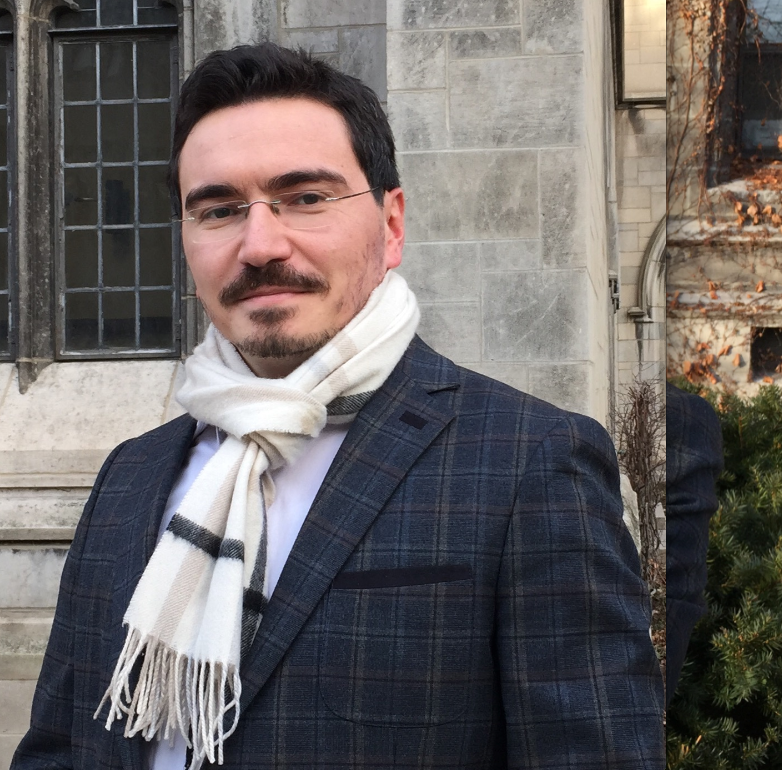 Professors Ryan Coyne and Jean-Luc Marion will offer responses. A conversation with Mayra Rivera around her latest work Poetics of the Flesh. Mayra Rivera is Professor of Theology and Latina/o Studies at Harvard University. Mayra Rivera's work in religious studies engages key Christian themes in relation to current theories of gender, coloniality, ethnicity and race. She is affiliated with the Committee on Ethnicity Migration Rights; the Department of Romance Languages and Literatures (Faculty of Arts and Sciences) and American Studies (Graduate School of Arts and Sciences). Her most recent book, Poetics of the Flesh (2015), explores the connections between theological, philosophical, and political metaphors of body and flesh. The Touch of Transcendence: A Postcolonial Theology of God (2007) explores the relationship between models of divine otherness and ideas about interhuman difference. She is also co-editor, with Stephen Moore, of Planetary Loves: Spivak, Postcoloniality, and Theology (2010) and, with Catherine Keller and Michael Nausner, of Postcolonial Theologies: Divinity and Empire (2004). "The Ambiguity of Anxiety: The Philosophical History of a Concept"
Her project at the Marty Center, a monograph entitled Anxiety: History of a Concept in 19th and 20th Century Philosophy and Psychology, traces the intellectual history of anxiety, as an idea and a sign. Aimed at an interdisciplinary readership, the book is concerned with a recurrent theme in disciplines that framed the meaning of life, embodiment, subjectivity, and indeed, intersubjectivity. Even the so-called egalitarian and loosely structured societies known to anthropology, including hunters such as Inuit or Australian Aborigines, are in structure and practice subordinate segments of inclusive cosmic polities, ordered and governed by divinities, ancestors, species masters, and other such metapersons endowed with life and death powers over the human population. "The Mbowamb spends is whole life completely under the spell and in the company of spirits" (Vicedom and Tischner). "[Arawete] society is not complete on earth: the living are part of the global social structure founded on the alliance between heaven and earth" (Viveiros de Castro). We need something like a Copernican revolution in anthropological perspective: from human society as the center of a universe onto which it projects its own forms--that is to say, from the Durkheimian or structural-functional deceived wisdom--to the ethnographic realities of people's dependence on the encompassing life-giving and death-dealing powers, themselves of human attributes, which rule earthly order, welfare, and existence. For Hobbes notwithstanding, something like the political state is the condition of humanity in the state of nature; there are kingly beings in heaven even where there are no chiefs on earth. Jonardon Ganeri is Professor of Philosophy, NYU Abu Dhabi and Global Network Professor of Philosophy, Faculty of Arts and Science, NYU. The world of academic philosophy is now entering a new age, one defined neither by colonial need for recognition nor by postcolonial wish to integrate. The indicators of this new era include heightened appreciation of the value of world philosophies, the internationalization of the student body, the philosophical pluralism which interaction and migration in new global movements make salient, growing concerns about diversity within a still too-white faculty body and curricular canon, and identification of a range of deep structural problems with the contemporary philosophical academy in its discursive, citational, refereeing and ranking practices. We are entering what we might call “the age of re:emergence”, a new period the key features of which are as follows. First, philosophies from every region of the world, locally grounded in lived experience and reflection upon it, are finding new autonomous and authentic forms of articulation. Second, philosophical industry, leaving behind a center-periphery mode of production, is becoming again polycentric: the philosophical world is returning to a plural and diverse network of productive sites. Third, Europe and other colonial powers have been provincialized, no longer mandatory conversation partners or points of comparison but rather unprivileged participants in global dialogue. Fourth, philosophers within the largely anglophone international academy are beginning to acknowledge their responsibility so to arrange international institutions as to enable wide and open participation; that is, acknowledge that their control over the academy is a fall-out from colonialism rather than a reflection of intellectual superiority. We may thus look to a future when there will be a vibrant pluralistic realism in departments of academic philosophy around the globe, and a new cartography of philosophy. David Morgan will present a public lecture entitled "Divination and the Material Culture of Chance." Yousef A. Casewit will present a public lecture entitled "What Ambiguity? : The Hermeneutics of Certainty in the Quran Commentary of Ibn Barrajān of Seville (d. 536/1141)." Yousef Casewit is a Humanities Research Fellow at New York University Abu Dhabi. He is also an Assistant Professor of Arabic Intellectual Heritage and Culture at the American University of Sharjah’s Department of Arabic and Translation Studies. He completed his M.A., M.Phil., and Ph.D. in Islamic Studies at Yale University’s Religious Studies Department in 2014. He holds a B.A. from The George Washington University with a focus on International Relations, Religion, and Middle Eastern Studies. His research areas include Qur’anic Studies, medieval intellectual history of North Africa and al-Andalus, and Muslim perceptions of the Bible. He has several publications, the most recent is a critical edition of a Qur’an commentary by the Sevillan mystic Ibn Barrajan (d. 536/1141) published with Brill (TSQ Series, Oct. 2015). He is completing a study on the life and teachings of Ibn Barrajan for Cambridge University Press (March, 2016), as well as a translation and critical edition of a Philosophical-Sufi commentary on the divine names by the Algerian scholar ʿAfif al-Din al-Tilimsani (d. 1291) for the Library of Arabic Literature, NYU Press. Born in Egypt and raised in Morocco, he is fluent in Arabic, French and Spanish. Yousef has traveled throughout the Islamic world, and has studied with Muslim scholars in Morocco, Syria, and Mauritania. Constance Furey (PhD'02, History of Christianity), a scholar of Renaissance and Reformation Christianity, is Associate Professor in the Department of Religious Studies at Indiana University, where she has taught since 2000. The emergence of new types of religious and intellectual communities was the subject her first book, Erasmus, Contarini, and the Religious Republic of Letters (Cambridge UP, 2006). She has published also on friendship and marriage; virtue and vitriolic religious debates; error, critique, and discernment; and theoretical questions of relationality and intersubjectivity. Her current book project, Crowded Interiors: A Key to the Self in English Protestant Poetry, explores the way male and female poets in early modern England re-imagined authorship, friendship, love, and marriage as sites of utopian longing and fulfillment. 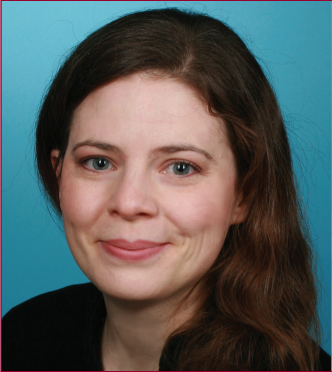 In this, as in her other research projects, Professor Furey is interested in thinking about how religiously motivated ideals and assumptions should be understood in relation to a host of social developments, ranging from the advent of print and new kinds of literary authority to the celebration of friendship, changing conceptions of marriage and patronage, and shifting assumptions about gender differences. 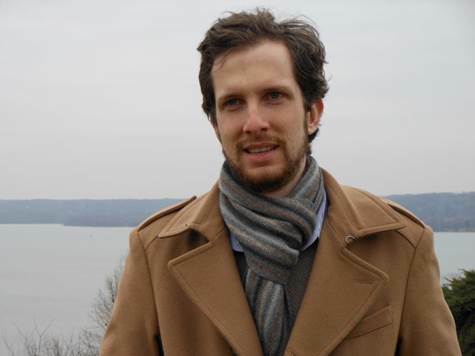 Suleyman Dost is a PhD candidate in the University of Chicago Department of Near Eastern Languages and Civilizations. He also holds an AM degree from the University of Chicago Divinity School. His research interests include early Islamic history and historiography, Arabic paleography, Syriac Christianity, Classical and Late Antique Greek texts and Biblical studies. In his PhD dissertation he discusses the historical context of the Qur’ān’s origins and the background of Qur’ān’s thematic and lexical content within pre-Islamic Arabian epigraphy. To this end, he conducted research on Old South Arabian, Ancient North Arabian, Nabataean, Sinaitic, Syriac and Aramaic inscriptions from the Arabian Peninsula and neighboring areas. He also worked on the process of the Qur’ān’s canonical development during the Umayyad and Abbasid caliphates through the works of classicalʿulūm al-qur’ān. In addition to finalizing his dissertation, Dost is preparing an annotated translation of an early tenth-century treatise on the history of the Qur’ān titled “Kitāb al-Maṣāḥif” (The Book of Qur’ān Codices) by Ibn Abī Dāwūd (d. 929). In the early Meccan surahs, the Qur’anic revelations are clearly distinguished from other forms of inspired speech prevalent in the milieu of the Qur’an – notably poetry and oracular pronouncements. Several times, the reproach that the Prophet employs the rhetoric of a poet (shāʿir) or a soothsayer (kāhin) is rejected. One can thus catch a glimpse of an intensive debate on the source of authoritative knowledge. In the workshop, the figure of the pre-Islamic soothsayer and his pronouncements will be considered in light of pre-Islamic epigraphic material and Islamic traditional reports transmitted in texts of the Abbasid era. In a second step, the Qur’an’s resonance with and rejection of this kind of inspired speech will be examined before the background of an eschatological “turn”. Nora Katharina Schmid is a research associate of the Collaborative Research Center 980 “Episteme in Motion. Transfer of Knowledge from the Ancient World to the Early Modern Period” at Freie Universität Berlin. Nora Schmid’s research interests include the Qur’an, Arabic asceticism and the intellectual and literary traditions of pre-Islamic Arabia. She is currently co-editing a collective volume entitled “Denkraum Spätantike. Szenarien der Reflexion von Antiken im Umfeld des Koran” (forthcoming in 2016), in which Late Antiquity is re-thought as an epistemic space encompassing the Qur’an and early Islamic intellectual culture. Nora Schmid has also written a number of articles – among them “Lot’s Wife: Late Antique Paradigms of Sense and the Qur’ān”. She has studied Arabic and French languages and literatures in Mainz, Berlin and Paris. From 2007 to 2012 she was a researcher of the Corpus Coranicum project (Berlin-Brandenburg Academy of Sciences and Humanities), contributing to a historical-critical and literary commentary on the Qur’an. Zongmi’s Strategies for Reconciling Textual Study and Meditative Practice." Abstract: There is a long-standing and deep-rooted tension between what could be characterized as meditative practice and textual study that runs through the Buddhist tradition. It emerges with the early com­munities, is manifested in different forms throughout the history of the tradition, and is very much alive today. This lecture will examine some of the ways in which this tension plays out in Zongmi’s most ambitious, original, and systematically articulated work,The General Preface to the Collected Writings on the Source of Chan (禪源諸詮集都序), written in 833. 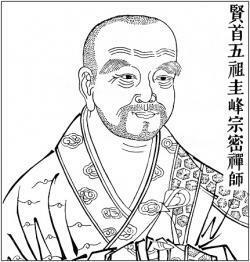 This work is most famous for its multifaceted attempt to reconcile the doctrinal teachings of the different “philosophical” schools (such as Huayan) with the different traditions of Chan prevalent in his day. The lecture will interrogate this issue by offering a close reading of a critical passage at the beginning of the Preface, where Zongmi lays out his main, overarching reason for composing the text. This passage is of special interest because in it Zongmi gives an account of what might be called an “enlightenment experience” that he had, which provides the basis on which he claims unique authority to be able to resolve the central problem that the text addresses: to bridge the gap between textualists and meditators so as to make the tradition whole again. Markschies holds the Harnack Chair of Church History (Ancient Christianity) at the Humboldt-Universität zu Berlin, where he also served as President from 2006-2010. Prof. Markschies studied Theology, Classics, and Philosophy in Marburg, Jerusalem, and Munich, and received his doctorate (1991) and Habilitation (1994) from the University of Tübingen. The recipient of multiple honorary doctorates, his many publications include seminal studies of such key figures as Valentinus, Origen and Ambrosius. Prof. Markschies is the Vice-President of the Berlin Brandenburg Academy of Sciences and Humanities and a member of the Academy of Erfurt and Heidelberg, the European Academy of Arts and Sciences and the Akademia Europea. Frances Robinson, Mellon Islamic Studies Initatives Visiting Professor in the Department of South Asian Languages and Civilizations will give a public lecture entitled "On the Building of Islamic Societies from Below Since 1800." Professor of the History of South Asia at the University of London Francis Robinson (Trinity College, Cambridge PhD, 1970), is one of the most prominent and influential voices among Western scholars of Muslim history and Islam in India. His research on Islam and Muslim history in South Asia focuses on Muslim responses to modernity, learned and holy families and their textual traditions, and religious and political change. His interest in the Muslim world, however, is not confined to the Indian subcontinent, but spans a much wider geographical region and discursive landscape. The Mellon Islamic Studies Initiative is a three-year project, designed to support the expansion and enhancement of the study of Islam at the University of Chicago. Administered by the Divinity School, the initiative is a cross-divisional collaboration, intended to create a sustained campus conversation about the future of Islamic studies. Funded by a generous grant from the Andrew W. Mellon Foundation, the initiative brings to the University distinguished visiting scholars representing a wide range of topics in Islamic Studies, resulting in a substantive, sustained discussion about both specific topics in Islamic studies and the wider field of study. Read more about the initiative at http://misi.uchicago.edu. by Stephen Lewis, President of the Forum for Theological Exploration (formerly Fund for Theological Education). Rev. Lewis will share with the Swift Hall community the current state of diversification efforts in the Association of Theological Schools. This discussion is particularly timely given that by, no later than, 2030, ATS schools will no longer have one racial/ethnic group as the dominant presence in its schools in North America. How do we create an intellectual climate that continues to enhance our stellar academic practices as the broader community of conversation transitions into the future? The event is open to the entire Divinity School community of faculty, students, and staff and it welcomes participants from the broader University of Chicago campus. The Forum for Theological Exploration (FTE) is a leadership incubator that inspires young people to make a difference in the world through Christian communities. Since our founding in 1954, FTE has provided resources, events, networks, grants and fellowships to cultivate tomorrow's leaders, pastors and theological educators. FTE provides a forum through which gifted, purposeful students, young adults and partners explore their passion, purpose and call." "In the Treasury of the True Dharma Eye: Translating Dōgen's Shōbōgenzō." Carl Bielefeldt, Professor Emeritus of Stanford University, specializes in East Asian Buddhism, with particular emphasis on the intellectual history of the Zen tradition. He is the author of Dogen’s Manuals of Zen Meditation and other works on early Japanese Zen and serves as editor of the Soto Zen Text Project and Co-Director of the Ho Center for Buddhist Studies. Sponsored by The Center for East Asian Studies. A reception will follow. "Grandmother Language: A Chicagoan Sojourn with Women, Sanskrit and The Ethnography of Reading"
Dean Laurie L. Patton (AM 1986, PhD 1991 in the History of Religions area) is the 2015 Divinity School Alumna of the Year. Dean of the Trinity College of Arts & Sciences at Duke University, the Robert F. Durden Professor of Religion, and Professor of Cultural Anthropology, Patton is an accomplished scholar and the author or editor of eight books on South Asian history, culture and religion. In addition to two monographs on early Indian mythology and ritual, she has published two books of poetry, Fire’s Goal: Poems from a Hindu Year (2003) and Angel’s Task (2011). She also translated the classical Sanskrit text The Bhagavad Gita (2008) for the Penguin Classics Series. In 1996 she coedited Myth and Method with Wendy Doniger, the Mircea Eliade Distinguished Service Professor of the History of Religions. H. E. Prof. Samdhong Rinpoche is well known for his role as a politician and prominent scholar of Buddhism. He has acted as principal and director of the Central University for Tibetan Studies at Varanasi, India, formerly the Central Institute of Higher Tibetan Studies (CIHTS), since 1971. A close associate of the 14th Dalai Lama, Prof. Samdhong Rinpoche was elected in 2001 as the Kalon Tripa, or Prime Minister of the Tibetan government-in-exile based incDharamsala, India and held this office until 2011. Néstor Medina is Assistant Professor of Theology and Culture at Regent University, School of Divinity, in Virginia Beach, Virginia. His research focuses on multiple points of intersection between culture, theological knowledge and religious practices among Latinas/os in the US, Canada, and Latin America. Professor Medina is the author of Mestizaje: Remapping Race, Culture, and Faith in Latina/o Catholicism (Orbis 2009) and co-editor of Theology and the Crisis of Engagement: Essays on the Relationship between Theology and the Social Sciences (Pickwick, 2013). He is currently at work on two monographs: “Humanity, Culture and the Spirit,” and a second on Latina/o theological method. Professor Medina received his PhD in theology from the University of St. Michael’s College, Toronto School of Theology, University of Toronto. Bill Porter, aka Red Pine, is one of the premier translators of traditional Chinese poetry and Buddhist writings and an expert on Buddhism in contemporary China. The search for spiritual fulfillment has been at the core of Chinese civilization ever since it began 5,000 years ago. Spending time alone or with a like-minded group, usually in the mountains, has been an essential part of all three of China’s major spiritual traditions from their very beginning, and it continues to be so today. In his visit to the University, Bill Porter will give a talk and slide presentation focusing on China’s hermit tradition and the tradition that has become known as Zen. 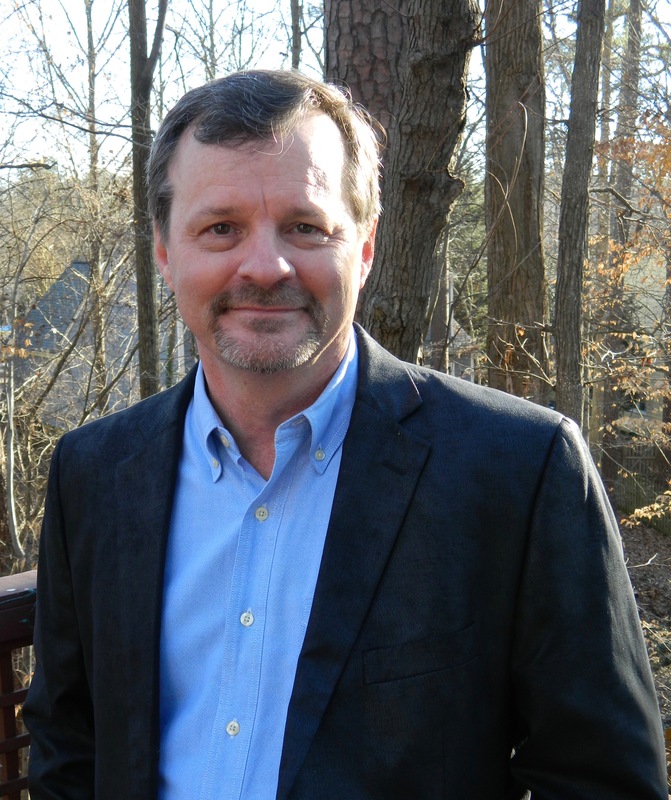 Mr. Porter will be basing his talk on interviews and personal experiences as recorded in his books Road to Heaven: Encounters with Chinese Hermits and Zen Baggage, which have sold nearly 300,000 copies in their Chinese translations. Cosponsored by the China Committee of the Center for East Asian Studies. Linford D. Fisher is Assistant Professor of History at Brown University. Professor Fisher’s research analyzes the religions and cultures of America’s First Peoples, the intersection of race and religion in the colonial Atlantic world, religious conversion and cultural hybridity, material culture, and slavery in human history. He is the author of The Indian Great Awakening: Religion and the Shaping of Native Cultures in Early America (Oxford, 2012) and co-author of Decoding Roger Williams: The Lost Essay of Rhode Island’s Founding Father (Baylor University Press, 2014). He is currently working on a monograph on religion and the enslavement of Indians and Africans in New England and the Atlantic world. Professor Fisher received his Th.D. degree in the History of Religion in America from Harvard University. "Image and Agency in Benjamin's Late Work"
Divinity School alum Brian Britt (MA 1987, PhD 1992 ; Professor and Chair at Virginia Tech Department of Religion and Culture) will address images in the late work of Walter Benjamin with projected slides and their relationship to contemporary debates on agency. Benjamin’s late writings address contemporary debates on human agency, tradition, and the reception of images after catastrophe. This presentation engages the work of Jean Baudrillard, Susan Sontag, and others in relation to Benjamin’s widelydebated writings on photography, art, and history ; and argues that Benjamin's work relates the perception of images in general to the problem of human agency. Shari L. Rabin is a doctoral candidate in Religious Studies at Yale University. Her research explores American religious cultures and communities, especially as they are constituted through and in relation to economics, media, and concepts of space. Ms. Rabin’s dissertation, “Manifest Jews: Mobility and the Making of American Judaism, 1820-1877,” rewrites the history of American Judaism in the 19th century through an analysis of Jews who were far flung from urban or diasporic centers, highlighting the central role of pragmatic moderates who responded to the challenges of religious life in a mobile continent. She is the author of articles in Religion and American Culture: A Journal of Interpretation and Nashim: The Journal of Jewish Women’s Studies and Gender Issues. Tobias Nicklas is Professor of New Testament in the Faculty of Catholic Theology at the University of Regensburg, Germany. His research and teaching encompass the New Testament and Early Christianity, with particular interests in the Gospel of John, the Book of Revelation, early Christian Apocrypha, the development of the New Testament canon and its reception-history, and manuscript studies. Professor Nicklas is author or co-author of five monographs, including Ablösung und Verstrickung: “Juden” und Jüngergestalten als Charaktere der erzählten Welt des Johannesevangeliums und ihre Wirkung auf den impliziten Leser (2001) and, most recently, Jews and Christians? Second Century ‘Christian’ Perspectives on the ‘Parting of the Ways’ (Tübingen 2014). He has published (with Thomas J. Kraus) a textual edition and translation of the Greek fragments of the Gospel of Peter and the Apocalypse of Peter (Die griechischen christlichen Schriftsteller, 2004), and is the co-editor of 20 volumes on a variety of topics, including (also with Thomas J. Kraus) Early Christian Manuscripts: Examples of Applied Methods and Approaches (Brill, 2010). Professor Nicklas is currently working on commentaries on The Gospel of Peter (Kommentare zur apokryphen Literatur, Vandenhoeck & Ruprecht) and 2 Thessalonians (Kritisch-exegetischer Kommentar, Vandenhoeck & Ruprecht), and the edited volume, Handbuch zu Tod und Jenseits im frühen Christentum und seiner Umwelt. Professor Nicklas is the series editor of Deuterocanonical and Cognate Literature Studies and serves on the editorial boards of Novum Testamentum Patristicum and Kommentare zur apokryphen Literatur. He completed his doctorate and Habilitation at the University of Regensburg. David Brakke is Joe R. Engle Chair in the History of Christianity and Professor of History, The Ohio State University. Professor Brakke’s research and teaching address the history and literature of early Christianity from its origins through the fifth century, with a particular focus on asceticism (embodied practices of spiritual discipline), scripture (the writing, dissemination, limitation, and promotion of authoritative literature) and “Gnosticism.” Much of his research has been concerned with Christianity in Roman Egypt as the setting for asking questions about cultural exchange, center and periphery in an empire, multilingualism, and religious transformation. Professor Brakke is the author of three monographs: The Gnostics: Myth, Ritual, and Diversity in Early Christianity (Harvard University Press, 2010); Demons and the Making of the Monk: Spiritual Combat in Early Christianity (Harvard University Press, 2006) and Athanasius and the Politics of Asceticism (Oxford University Press, 1995). He has produced critical editions of texts and annotated translations of early Christian works in Coptic and Syriac, including selected works of Shenoute (with Andrew T. Crislip, Cambridge University Press, forthcoming, 2015), Evagrius of Pontus (Liturgical Press, 2009) and Pseudo-Athanasius (Peeters, 2002). In addition to many co-edited volumes, such as Invention, Rewriting, Usurpation: Discursive Fights over Religious Traditions in Antiquity (Peter Lang, 2012), Professor Brakke has served as editor of the Journal of Early Christian Studies from 2005-2015. Among his current research projects are The Gospel of Judas: A New Translation and Commentary (to be published by Yale University Press), and a monograph, Scriptural Practices in Ancient Christianity. Professor Brakke holds the PhD from Yale University (Department of Religious Studies) and an MDiv from Harvard Divinity School. "Defending the Milieu in Global Palestine"
Wednesday March 11 | 4:30 pm | Swift Hall Common Room. In this lecture, building on the ideas presented in his book Global Palestine, Professor Collins will explore Palestine as a prophetic and microcosmic node within a larger global system in which the imprint of settler colonialism looms large. The pioneering work of Paul Virilio, particularly his concept of “war on the milieu,” can help us conceptualize the nature of this system as an ongoing struggle between the structures of permanent war and the local practices of popular defense and everyday occupation. Sponsored by the Divinity School Dean's Office, the Chicago Center for Contemporary Theory (3CT), the Center for International Studies' Norman Wait Harris Fund, and the Center for Middle Eastern Studies. "The Dead Sea Scrolls and Judaism Today"
James Kugel was the Starr Professor of Hebrew Literature at Harvard University for twenty-one years. He retired from Harvard to become Professor of Bible at Bar Ilan University in Israel, where he also served as chairman of the Department of Bible. 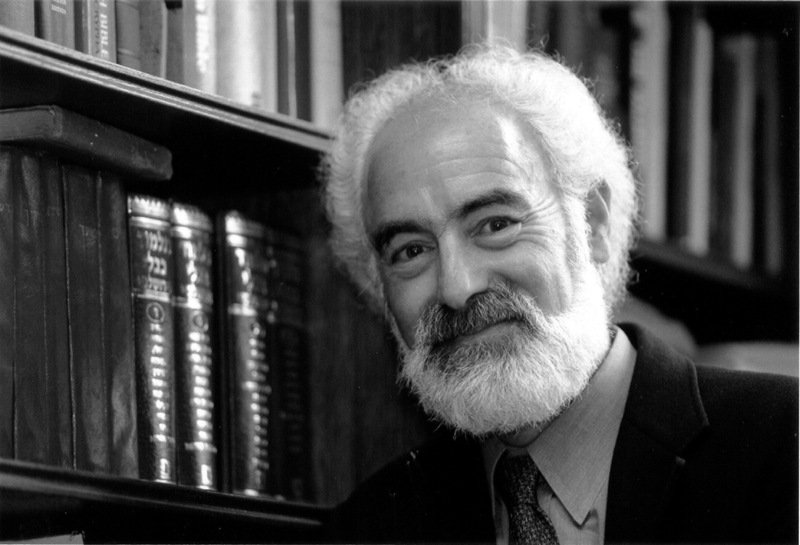 A specialist in the Hebrew Bible and the Dead Sea Scrolls, Kugel is the author of more than eighty research articles and fifteen books, including The Idea of Biblical Poetry, In Potiphar’s House, On Being a Jew, and The Bible As It Was (the winner of the Grawemeyer Prize in Religion in 2001). His more recent books include The God of Old, The Ladder of Jacob, How to Read the Bible, awarded the National Jewish Book Award for the best book of 2007, In the Valley of the Shadow, and A Walk Through Jubilees. He is a member of the Society of Biblical Literature, and Editor-in-chief of Jewish Studies: an Internet Journal. The Brauer Seminar was established by friends of the Divinity School to encourage interdisciplinary teaching and research. Cosponsored by The Divinity School and the Chicago Center for Jewish Studies. A two-part conference—one academic, the other practical—tackling global social issues using the resources of numerous religious traditions and of the Global Ethic (the signature document of the Parliament of the World's Religions). With presenters Stephen Davis (Yale University), Deirdre de la Cruz (University of Michigan), and Jehu J. Hanciles (Emory University Candler School of Theology). This event engages new directions in the academic study of global Christianities. Forging an interdisciplinary conversation, it features three leading scholars in theology, history and anthropology to reconsider approaches to the study of Christianity in the Middle East, South America, Africa, and Asia. Public lecture by Carole Rawcliffe: "Christ the Physician Walks the Wards: Medicine and Religion in Medieval England"
Carole Rawcliffe is Professor of Medieval history at the University of East Anglia and author of Medicine and Society in Later Medieval England and Leprosy in Medieval England. Her research focuses on the theory and practice of medicine in medieval England, with particular emphasis upon hospitals, the interconnection between healing and religion, and urban health. Prof. Rawcliffe will also join the Medieval Studies Workshop at noon on April 27. Organized by the Medieval Studies Workshop and co-sponsored with the Martin Marty Center, the Franke Institute, the Nicholson Center, and the Program on Medicine and Religion.